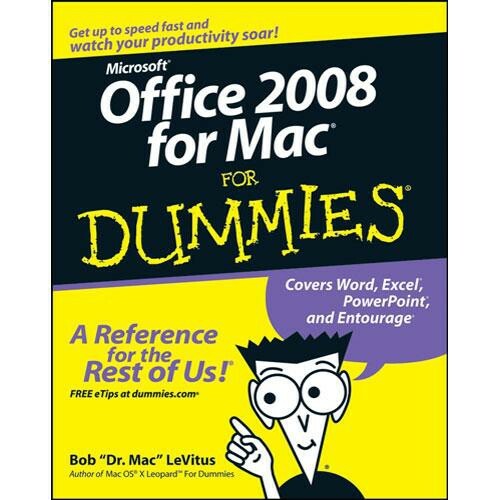 Get the most from Office 2008 on your Mac after you read Wiley Publication's Office 2008 for Mac For Dummies. This 432-page paperback is authored by Bob LeVitus, otherwise known as Dr. Mac who helps you with everything from picking the right version, to installation and updates. Learn everything Word, Excel, PowerPoint, and Entourage can do for you and your Mac. Box Dimensions (LxWxH) 9.1 x 7.4 x 0.9"